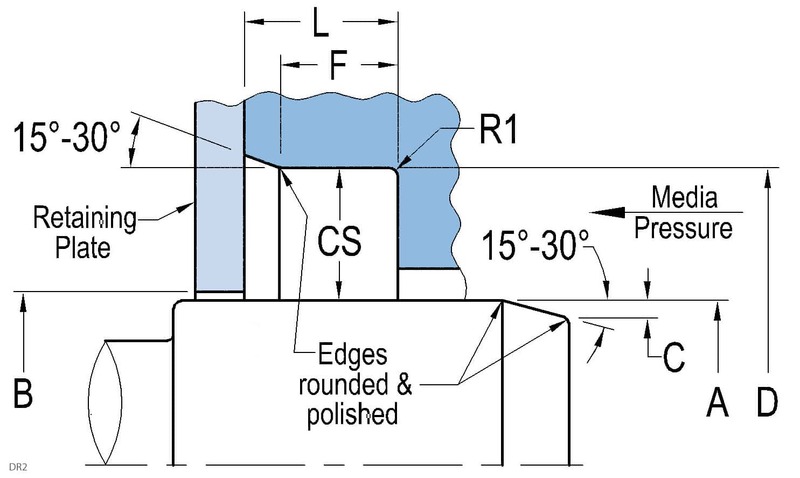 Single-lip oil seal for use on worn or grooved shafts or increased runout. 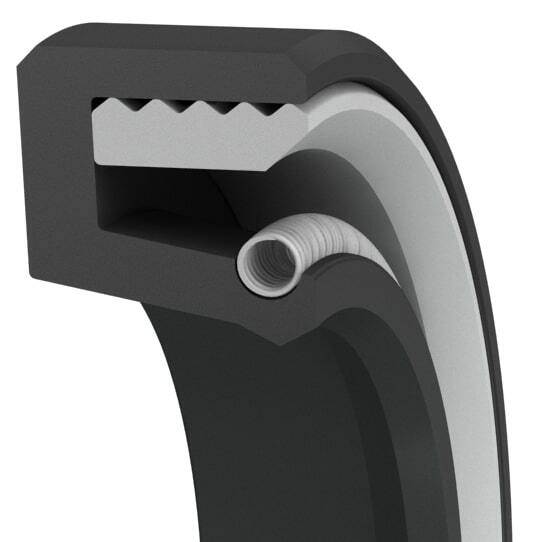 Optimized seal lip design contacts the shaft at a new contact point which enables this seal to be fitted on most grooved shafts where a repair sleeve or a new shaft would be required. For increased runout or eccentricity, the seal lip length can be optimized. The non-metal reinforcement element ensures concentric fitment and increased corrosion resistance over traditional shaft seals. This style is available in a wide range of elastomers and small quantities for repairs and seal replacement and can be shipped in 1 to 3 days. For dirty, dusty or polluted environments, our R2SL style with additional dust lip should be used.